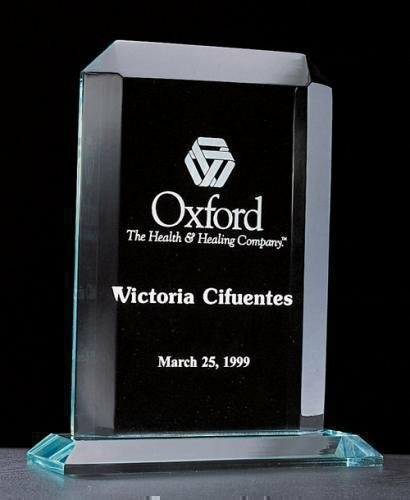 A bright, colorful stained glass design borders the black personalization area of this 3/8" thick round acrylic award giving it lots of contrast and visual appeal. 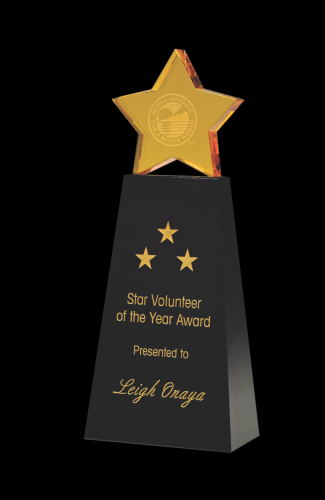 Mounted to a black acrylic base, this stunning piece is a colorful, modern twist on a classic award design that is sure to be proudly displayed. Beautiful Chiseled Gold Award. 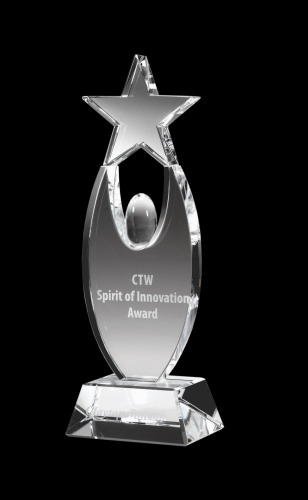 Free standing acrylic award with gold reflective bottom. Optic crystal star on clear base. Presentation box included. Optic crystal gold star on black base. Item includes gift box.